Welcome to vegan BBQ recipes! I'm Hannah, a twenty year old language student from the sunny north of England. And this is my dad, Paul, a barbecue enthusiast. Over the past couple of years we've both moved to a vegan diet, and we're loving cooking our plant-based meals on a barbecue. Paul has worked with barbecues for years, but turning vegan in the barbecue industry has proved quite a challenge: people think barbecue, people think meat. We're here to change that. We want to prove that fruit and veg can light up a barbecue just as well as any piece of meat! 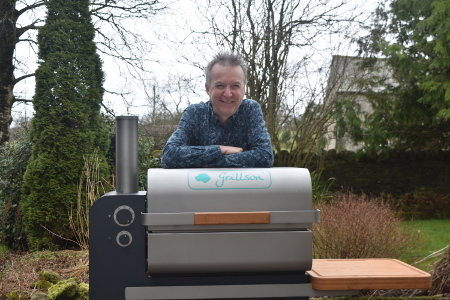 I've aimed to create a series of simple, accessible recipes for meat eaters and plant eaters alike, while Paul has contributed his specialist barbecue knowledge. Whether it's just to make a veggie option for someone at a barbecue, or to create an entire vegan BBQ feast, I hope that our website has delicious recipes for all occasions. Read, cook and get inspired! I have worked on a selection of recipes to try and cover everything you'd expect from a barbecue. Burgers, kebabs, barbecue sauce, desserts and even things you may not expect, like bread. We've also tried to keep everything as unprocessed as possible - just because it's cooked on a barbecue doesn't mean it's unhealthy! Some people are surprised by the enormous variety of vegan food that you can cook on a barbecue. I certainly was at first. But the more you cook, the more you experiment, the more you create! As time goes on, I'll be adding more and more new vegan BBQ recipes; hopefully you'll enjoy cooking the food from them as much as we do! As you go through these recipes, you may come across ingredients or even equipment that you've never used or heard of before - fear not, as I shall provide links to websites, such as Amazon, where you can buy these things. Just to note, if you click through to Amazon using the link on this site and proceed to buy something, although you'll pay no more, I'll get a small commission! As I'm a student, every little helps, so the support would be much appreciated! Who is Vegan BBQ recipes for? Vegan BBQ Recipes is for everyone! You don’t have to be vegan, or even vegetarian to able to enjoy our recipes. Whether you’re looking for a crowd pleaser at a party or a healthy alternative to meat, we’ve got you covered whatever you eat. We’ve tried our best to make these recipes as simple as possible, and use ingredients that you can easily find in a supermarket, so that you don’t have to be a culinary master to make the most out of vegan BBQ recipes. Sometimes there might be the odd obscure ingredient, but we’ll let you know where you can buy it so that you’re not left in the dark! 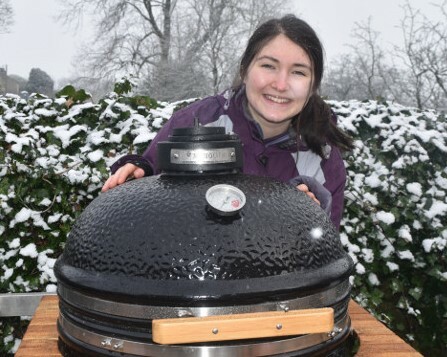 For some of our recipes you will also find that you need a barbecue with a lid to create an oven-like environment – I cook on a Monolith kamado grill and Grillson pellet grill because of their excellent cooking capabilities, but of course there are more options on all sorts of price scales; we’ll cover the options in more detail soon. 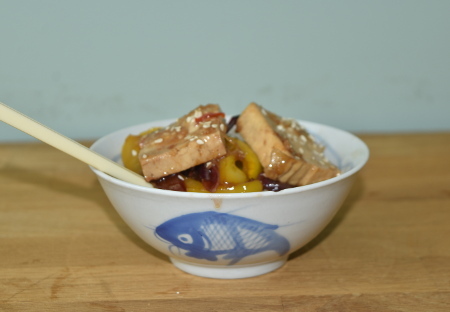 As you can see, Vegan BBQ Recipes is only in its very early stages - I'm writing new recipes every day so please come back and visit! Thank you for your support. Most recipe themed websites use the navigation bar to help you select a recipe by the core ingredient (usually an animal protein) but this way of thinking does really sit well this our website. Do you actually go looking for courgette based barbecue recipes? The navigation bar is set out by cooking style rather than by ingredient because in many cases, the style determines the basis of the recipe and the actual ingredients are interchangeable. Cooking styles also focuses the mind on what's a practical way of barbecue cooking. Vegetables have different textures to meats and so the cooking method can vary, what's common of course is the fact that we all like cooking outdoors!